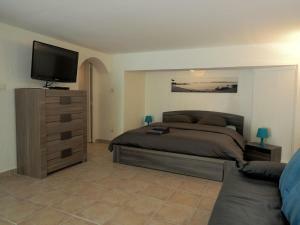 Petit Morceau De Villa Terracotta Petit Morceau De Villa Terracotta offers accommodation in Sainte-Maxime, just 1 km from the habour, 40 km from Cannes and 5 km from Saint-Tropez. A flat-screen TV with satellite channels is offered. Antibes is 48 km from Petit Morceau De Villa Terracotta, while Saint-Raphaël is 16 km from the property..
Villa Cote d'Asoet price per day from € 140 . Hôtel de la Vierge Noire The Vierge Noire is located near the village of La Nartelle on the Cote d’Azur just 3 km from Sainte Maxime. It is in front of the sandy La Nartelle beach and has an outdoor pool and a bar. Lou Trelus price per day from € 59 Set in Sainte-Maxime in front of the Saint-Tropez Gulf, this residence features self-catering studios, an outdoor swimming pool and a terrace. 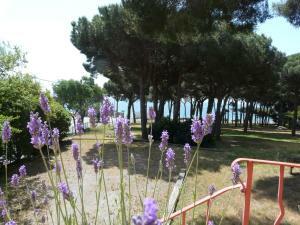 Beaches are 100 metres away and free private parking is available on site. Provided with free Wi-Fi, they also have a private bathroom and a seating area with LCD TV..
La Casa Mia price per day from € 65 . 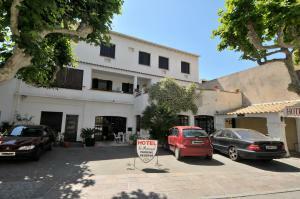 Hotel Les Tourelles price per day from € 148 . Le Petit Prince price per day from € 89 . Hotel Villa Des Anges . Le Preconil price per day from € 76 . Water park Saint Maxime, 0.8 km from the centre of town of Sainte-maxime. Tahiti Beach, Ramatuelle, 7.4 km from the centre of town of Sainte-maxime. Nikki Beach, Ramatuelle, 9.8 km from the centre of town of Sainte-maxime. Aqualand Frejus, Frejus, 15.6 km from the centre of town of Sainte-maxime. Golf club Prince de Provence - Vidauban, 16.3 km from the centre of town of Sainte-maxime. Basilica Notre-Dame de la Victoire, St-Raphael, 16.9 km from the centre of town of Sainte-maxime. ZOO Frejus, 20.3 km from the centre of town of Sainte-maxime. Ski resort Valberg, excellent nightlife, many restaurants and pubs. 91 km from town of Sainte-maxime. Ski resort Beuil-les-Launes, recommended ski resort for experts. 92 km from town of Sainte-maxime. Ski resort Roubion les Buisses, number of cross country pistes: 20km. 93 km from town of Sainte-maxime.